From the original post bylaws "The name of this post shall be the Simeon L. Nickerson Post, named after Simeon L. Nickerson of this town, who gave his life to the cause of democracy in the American Expeditionary Forces." An old window poster announces a meeting of veterans on June 23,1919 to organize an American Legion Post in Middleboro,MA. The meeting was held in the banquet hall of the Peirce Building, which was above the local Post Office at the time. Nearly 80 soldiers and sailors attended the organizational event, according to hand written minutes of that meeting and a newspaper account of the event. 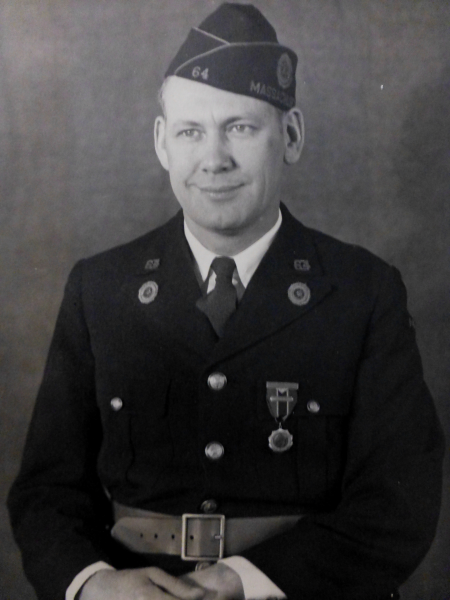 Those attending the meeting overwhelming approved the forming of..
(Posted by webmaster Mike Palmer and Post Historian Bob Lessard) 1919:- (See June 23 above….formation of Post 64) July 14…..Voted that this Post be known as the Simeon L. Nickerson Post #64 of the American Legion. Election of officers: Commander, Fletcher Clark Jr.; Vice-Commander, Carl G. Kendall; Adjutant, Frank Moriarty; Finance Officer, Kendrick Washburn; Historian, Parker Kennedy and Chaplain, M. Scanlon. 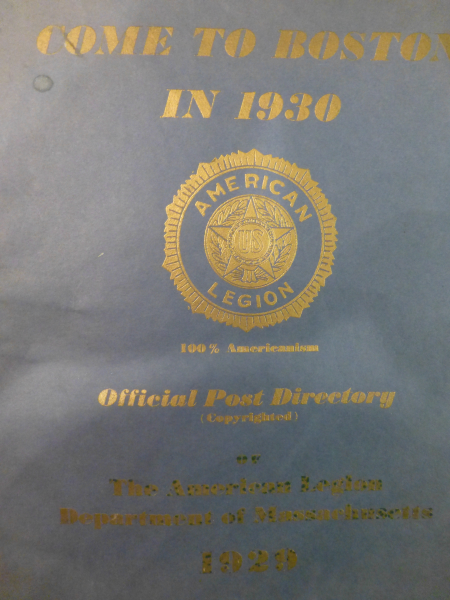 Voted that the dues shall be three (3) dollars a year, payable one (1)..
Middleboro American Legion Post 64 was named after Simeon L Nickerson by a vote of membership during the Post's second meetlng. 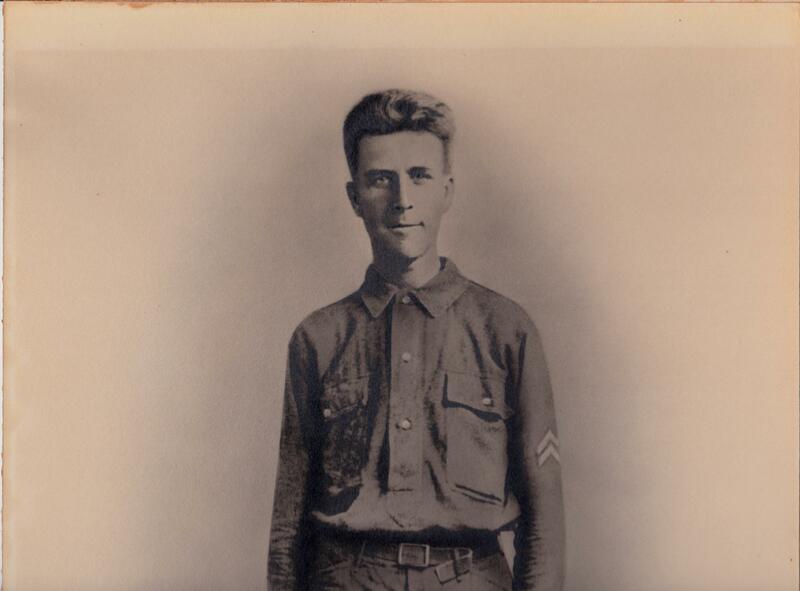 Simeon, a local resident, was killed in acfion on July 23, 1918 near Epieds, France according to Mertie E. Romaine's' History of the Town of Middleboro, Massachusetts, 1905-1965. She wrote "He was killed in the advance of July 23, 1918. Born in Rochester, Massachusetts, he came to live in Middleboro when an infant. 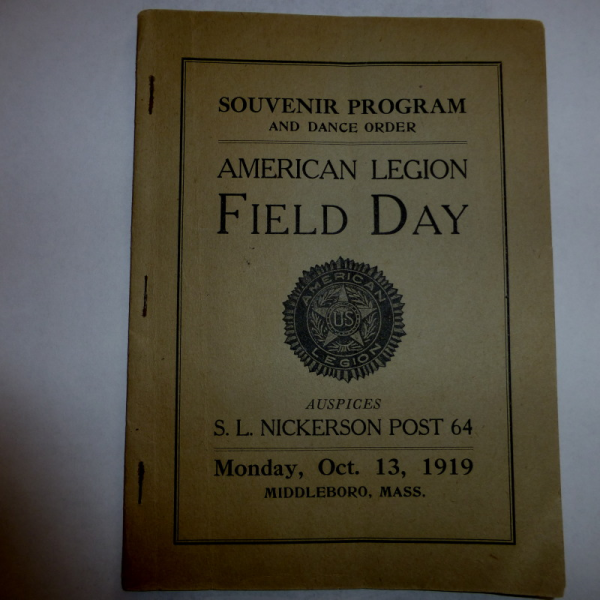 His..
October 13, 1919…American Legion Field Day under the Auspices of S. L. Nickerson Post 64. A souvenir program and dance order listing, which promoted an American Legion Field Day under the auspices of Simeon L. Nickerson Post 64, dated Monday, October 13, 1919 was sponsored by many of the town businesses. Listed events of the day, according to the program, included a Midway, which was established to the rear of the Town Hall. It was..
1920:- January 10….. Dance Committee reported a profit of $76.22 on last dance. Communications read regarding ex-service men in Lakeville Sanatorium. Voted that the matter of buying a typewriter be left in the hands of the Executive Committee. February 14…..Called to order at 8 p.m. by Commander Keedwell. Voted to have a Womens Auxiliary. Voted to give Community Center $5.00. Gerard Shaw elected to Employment Committee. Harold Dunham elected Athletic Officer. March 21….. Base Ball.. Posters held by Post 64 Commander Don Triner with fund raising drive posters for Post 64 in 1920. After a successful fund raising drive, a permanent headquarters was purchased at 11 South Main St., Middleboro. 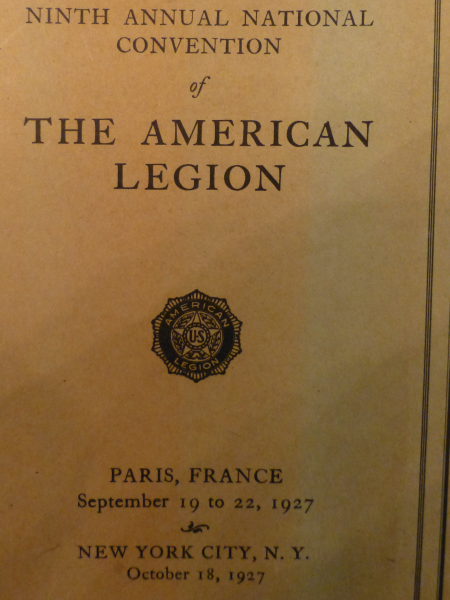 1921:- January 20….Voted that the Legion run a drive to raise $20,000.00 for a building fund. Voted that the last four days of January 28 to 31 included be devoted as days of our drive. January 26…..Special meeting called to order at 7:30, G.A.R. Hall, Commander Clark presiding. Resolutions on the deaths of Corporal Henry Frederick Denham and Sergeant Frank Davenport Moriarty read by Reginald Drake. Dempsey reported about $300.00 profit on Yankee Division motion..
1922:- January 16…… Meeting called to order by Commander at eight o’clock with 31 members present, after which the meeting was turned over to Commander-elect Hardy. Sick Committee appointed for one year: Reginald Drake, chairman, Lester Leland and Ralph Nickerson. All members rose and stood with bowed heads in memory of departed comrades after which the meeting was adjourned. February 21…… Seventy Five (75) members were present as Commander Hardy called the meeting to order..
1924:- January 23….. Special Meeting called to order at 8 p.m. by Commander McCrillis with 52 members present. Minutes of previous meeting read and approved. Reports of committees heard. Initiation was next in line and Comrades Howard Gardner, Millerd E. Raymond and Joseph H. McCourt go on record as being 100% game in going through the special initiation prepared by the membership committee in such a manner as to make the first attempt at this..
1925:- January 12….Voted that the new Commander, Vice Commander and Adjutant be chosen to represent the Post at the Annual Get-to-gether and Banquet at the State House, January 21st, and that their expenses be paid by the Post. June 1….. Delegates and alternates for the State Convention held at Boston were elected as follows- Comrades A.S. Hall, L. G. Maranville and C. A. McCrillis. 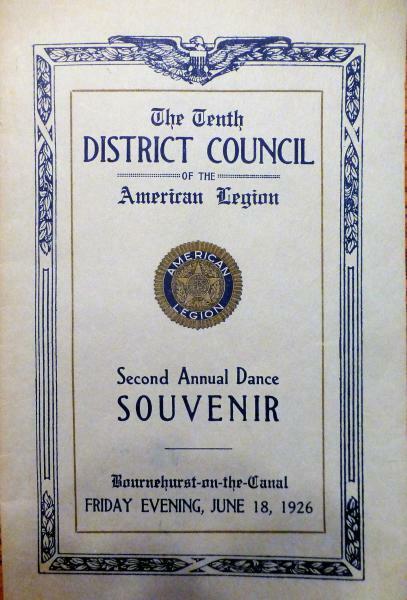 By a vote of the Post the adjutant cast one ballot..
10th District Centennial ……………………The Tenth District Council of the Massachusetts American Legion has scheduled its Second Annual Dance for Friday evening, June 18, 1926 at Bournehurst-on-the Canal. A special souvenir program has been published, which will be distributed at the door. ……….. Thirty-one American Legion Posts make up the Tenth District Council, which comprises Posts from Plymouth, Barnstable, Dukes and Nantucket Counties. Clarence L. Piper, Chairman of the Tenth District, wished to thank each and..
1927:- January 3….Voted that the $550.00 made by Legion show be spent all or in part for upkeep of building. Voted that $1.30 be paid Paul Pearson for work done on cesspool. A snappy talk was given by Thomas Buckley of Abington on the National Convention. April 4…. Voted that the Adjutant be authorized to buy five hundred two cent envelopes and five hundred one and one half cent envelopes. August 29…. 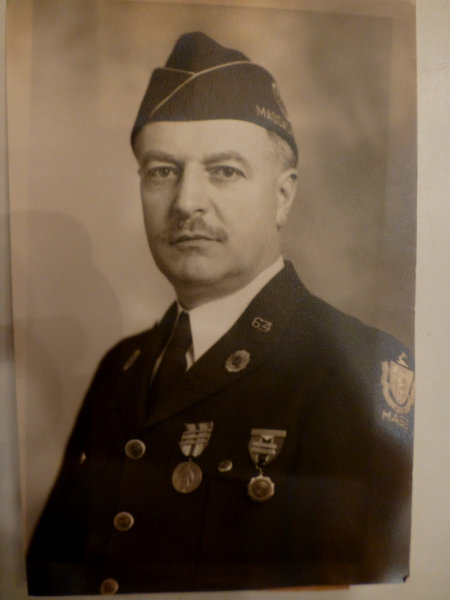 Past Commander McCrillis..
1928- TOWN WARRANT FOR NICKERSON & JOHN GLASS, JR.
1928:- April 2…. Under new business: A motion was made and seconded that a committee of five be appointed by the chair to be known as the 1928 show com., and that they have full power to conduct said show. Appointed, Raymond Nourse, Elmer Godfrey, Hervey Bazinet, George Dunham, Clifton McCrillis, Chas Carver, Leslie Maranville. June 4 …. Election of Officers: Results of elections were as follows Commander- Joseph Dutra; Vice-Commander- Don Trombley; Adjutant-Henry Bazinet;.. 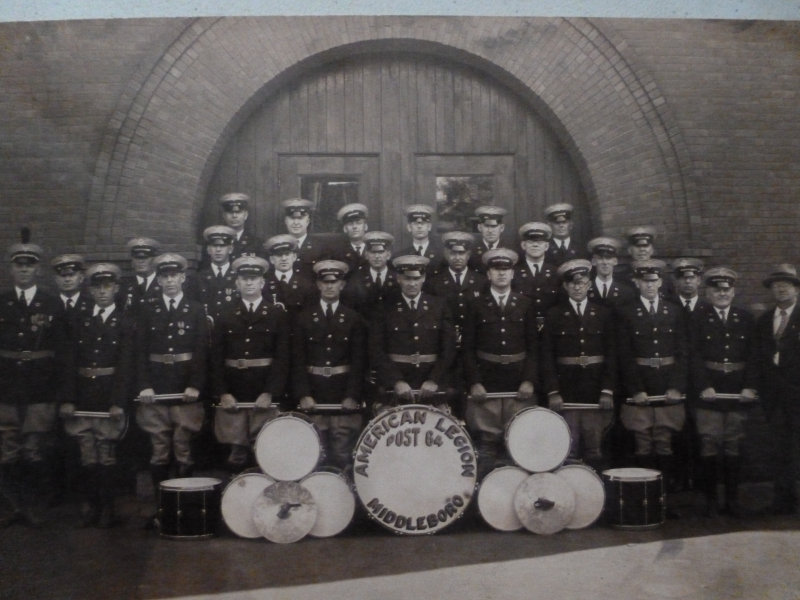 The 1930’s of the Simeon L. Nickerson Post 64 started with a regular meeting on January 6, 1930 and had 25 members attending with Commander McMahon leading. Among items discussed was the House Committee be instructed to investigate and cover the steam pipes, also to cut off defective radiators, and be authorized to spend the sum not to exceed $40.00. And it was voted that a committee of 5 be appointed to be known as..
Simeon L. Nickerson Post 64 at a regular meeting on June 2, 1930 with 57 members present voted to elect delegates and alternates to the Twelfth State Convention to be held at Williamstown, Ma in July. Elected as Delegates were Joseph Dutra, Forest E. Thomas and Norman Bryden. Convention Alternates elected were Clifton McCrillis, Carl Kendall and Howard Shurtleff. On July 7, meeting minutes recorded by Adjutant Leslie Maranville reported on a vote that…”reservations made.. 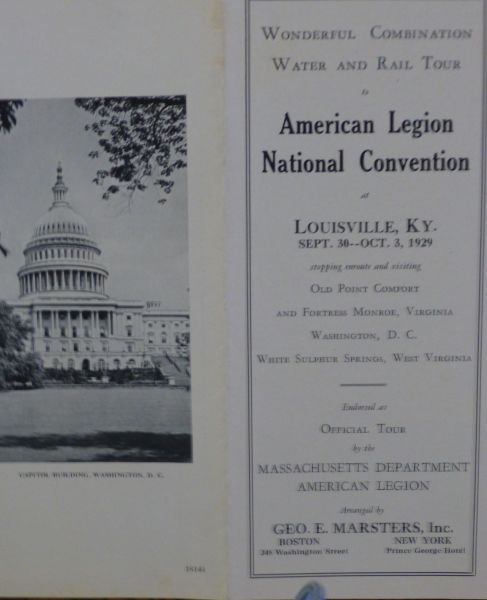 Following the State Convention at Williamstown, Post 64 started making plans for members to attend the Twelfth National Convention in Boston scheduled for October 6 through 10, 1930. Reviewing the 1930 minutes of the Post, it was found that at the September 8, 1930 meeting several discussions were held regarding the National Convention. 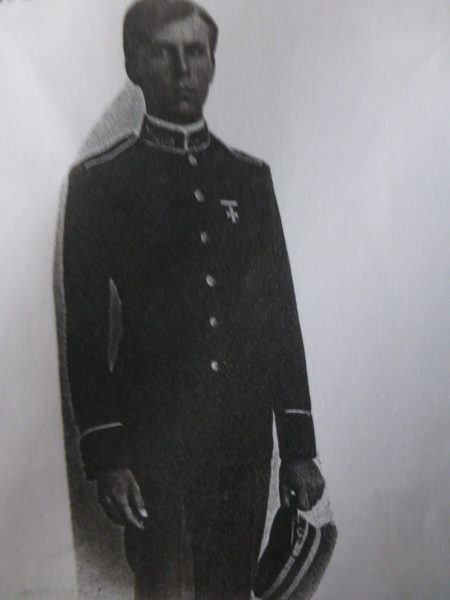 It was voted that the Post purchase complete uniforms for the Bugle and Drum Corps…” Also, voted to send the Corps to..
January 5, 1931:- Commander Thomas called first meeting of 1931 to order with 32 members present. Reports were heard from the show,sick and welfare committees as well as from Finance Officer. An invitation was accepted from the E.W. Pierce W.R.C. #8 to attend their installation of officers on the evening of Jan.8. It was voted to attend the Get-to-gether Banquet and reception to National Commander Ralph T. O'Neil being held on Saturday, Feb. 7, 1931..